Not everyone was happy about a deal that ended a three-day shutdown of the government Monday night. 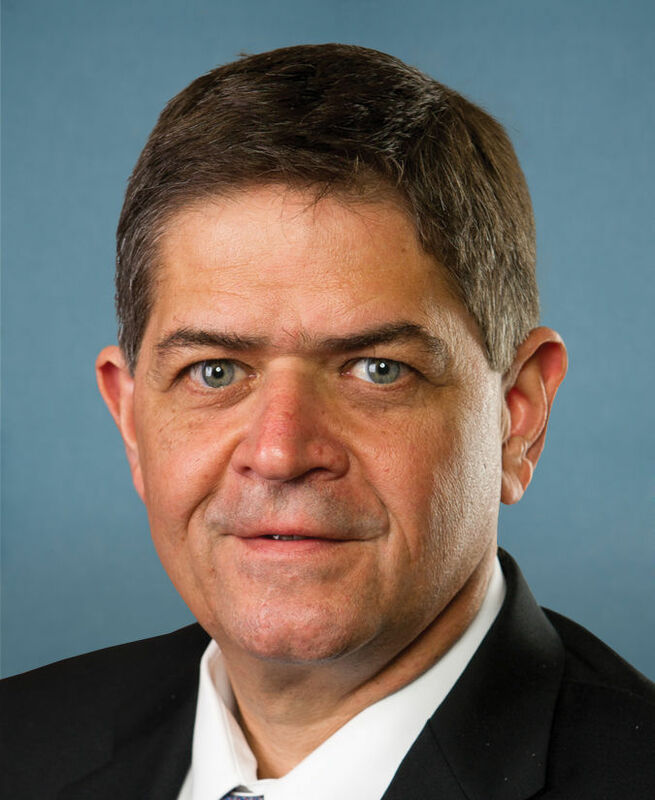 On the heels of a stopgap spending bill that ended a short-lived government shutdown, U.S. Rep. Filemon Vela, D-Brownsville, said he was “confounded” by the negotiating tactics of fellow Democrats over the weekend as it relates to a deal for DACA. The president signed a bipartisan stopgap spending deal Monday to put the government back to work after lawmakers failed to come to a deal by last Friday’s midnight deadline. This angered those who were hopeful the shutdown would force Republicans to come to the table on a deal for Dreamers. The stopgap deal which bipartisan lawmakers agreed to was reportedly achieved only after some Democrats conceded to including border wall funding elements in future negotiations for the program. The program, Deferred Action for Childhood Arrivals, is an Obama-era executive order that shields more than 700,000 undocumented youth from deportation and which was rescinded by the Trump Administration in September 2017. A deadline for the program’s end is set for March 5. The statement from Vela comes at a time when there appears to be true uncertainty on a deal for DACA. It also comes as two fellow Democrats — U.S. Reps. Henry Cuellar, D-Laredo, and Vicente Gonzalez, D-McAllen — voted for the stopgap bill to avoid a shutdown, both last Friday and again when the vote was put up again on Monday. There were 221 Republicans and 45 Democrats who voted in favor of it in the U.S. House of Representatives, which will keep the government funded until Feb. 8. This is something Cuellar and Gonzalez said was essential to protect DACA and Dreamers. Those votes led to a backlash of criticism of both congressmen. Cuellar and Gonzalez, who framed the short-term votes as an example of bipartisan negotiating, touted the deal as a means to get reauthorization for the Children’s Healthcare Insurance Program — or CHIP — and emergency disaster relief funds. The short-term funding measure included a six-year reauthorization of CHIP, which provides coverage for millions of young people in families with modest incomes. “Congress’ vote to continue federal funding will allow us, alongside our colleagues, to keep addressing additional legislative priorities,” Cuellar and Gonzalez said in a prepared joint statement Monday night. In exchange for reopening the government through Feb. 8, Senate Majority Leader Mitch McConnell promised that the Senate will consider the status of Dreamers over the course of the next three weeks — even if it didn’t have the support of the White House or the president. But Vela’s concern remains on the possible funding for construction of physical wall along the U.S.-Mexico border and the damage that could do to environmentally sensitive areas in the Rio Grande Valley, such as the Santa Ana National Wildlife Refuge — a location already designated as a “priority for construction” by the federal government. Santa Ana, considered by environmentalists as “the jewel of the National Wildlife Refuge System,” features some of the most diverse ecosystems in North America with more than 400 bird and plant species. Constructing a physical wall in specific sensitive areas like Santa Ana, and the National Butterfly Center, would also be detrimental to ecotourism, endangering tourism dollars from the more than 65,000 annual visitors it receives at its parks. Vela also cited landowner rights as another sticking point with regard to the wall’s construction. Last week, in what was considered a “rare step,” the Department of Justice announced it would appeal to the Supreme Court a federal court’s ruling that stayed the end of the DACA program — buying Dreamers additional time to submit renewal applications. On Tuesday, Supreme Court justices who have yet to agree on whether they would review the Trump administration’s appeal of the federal court’s ruling, agreed to expedite the Trump administration’s petition with a Feb. 2 deadline for briefs. The Feb. 2 deadline means justices could make a decision about whether to review the court’s ruling as soon as Feb. 16, which is when they are scheduled to meet to discuss pending cases. Vela said he remains committed to a deal for Dreamers that does not include border wall concessions — a Clean Dream Act, which is what Dreamers and their supporters have demanded since the program’s rescission.